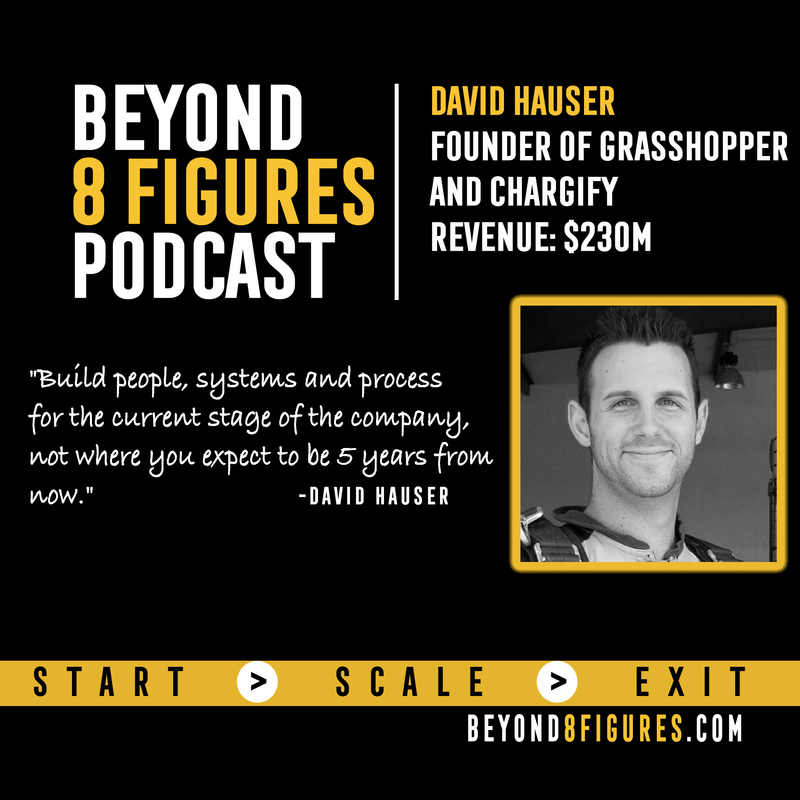 From bootstrapped to $30M exit…David Hauser shares the details of starting, scaling, and exiting Grasshopper. -How he started, scaled, and exited Grasshopper. -How he attracted talented employees to the business. -The difference between $1M and $10M in how the company ran. -Seeing opportunities around you and taking advantage of those opportunities. -Build people, systems and process for the current stage of the company not where you expect to be 5 years from now. -Don’t be afraid to work with those experienced in their field as you grow and sell your business. It may cost something, but it is worth it. -Break down your ideas into component parts, there’s something you can do now. -Be helpful and timely in your responses to others. About David Hauser: David Hauser is an Inc 30 under 30 Serial Entrepreneur, Angel Investor, and Speaker. He bootstrapped his company Grasshopper to $30M+ in ARR before being acquired by Citrix. David is also the Founder of Chargify, a profitable SaaS company with an investment from Mark Cuban. He’s also an angel investor in a variety of successful startups including Intercom, Unbounce, Munchery, and Groove. David is the Author of Evolve: Optimize Your Life, Body, and Mind. He shares the Framework for Optimization needed to control your evolution.